Capture One Pro 11 was just released. Loving all the new features. As most of you know I've used Capture One Pro for years. It's the only thing I have open on set to tether. It's colour and RAW conversion is world renown. This year I was honoured to be brought on as one of thirteen ambassadors of Capture One Pro worldwide. It's amazing when you can work with a brand you use day in and day out and you trust. So here comes an amazing announcement, Capture One Pro 11 just hit the ground running today and it's amazing, with crazy new features. A lot of these features have been requested by us and it's great to see when they get implemented and your job gets easier on set. Use using layers in photoshop? C1P now has that! If you ever wanted to step back a colour grade 10-20% but didn't have that capability, you now can. Annotations are now available, so you can draw right on your images in capture one so you can ensure those client comments are not forgotten, also, you can export those annotations to a new layer in photoshop right from capture one. The new feather mask and refine mask is very impressive, drawing complex masks is now a thing of the past. If you've been on the fence about Capture One, I recommend grabbing the 30-day trial, hitting up some tutorials on their site and give it a whirl. You might just end up like me and never look back. Sidebar-announcement, I'll be jumping on a webinar soon with Phase One and Capture One to talk about editing with Capture One, so keep your eyes peeled for that official date and time. Capture One 11 introduces an updated processing engine, market-leading performance, and powerful new features. The highly responsive tools give you the power to create stunning images from your camera's RAW files, in a time-saving workflow that can be customized to fit your needs. Check out all the new features here. Check out a fun guest blog for Capture One Pro for the release of the Ambassador program. "Get to know our Brand Ambassadors. We’ve asked our Capture One Brand Ambassadors to answer questions giving an insight into their Capture One experiences. Our Brand Ambassadors cover all disciplines, so no matter what your preferences are there’s sure to be something for you!" Thankful to be 1 of 13 amazing artists around the world to wear the Capture One Pro ambassador hat. Thanks for bringing me along for the ride Phase One. Capture One's Ambassador page reads: "Capture One Brand Ambassadors are among the industries most talented photographers and retouchers. They are here to share their talent and skills to inspire the photographic community. 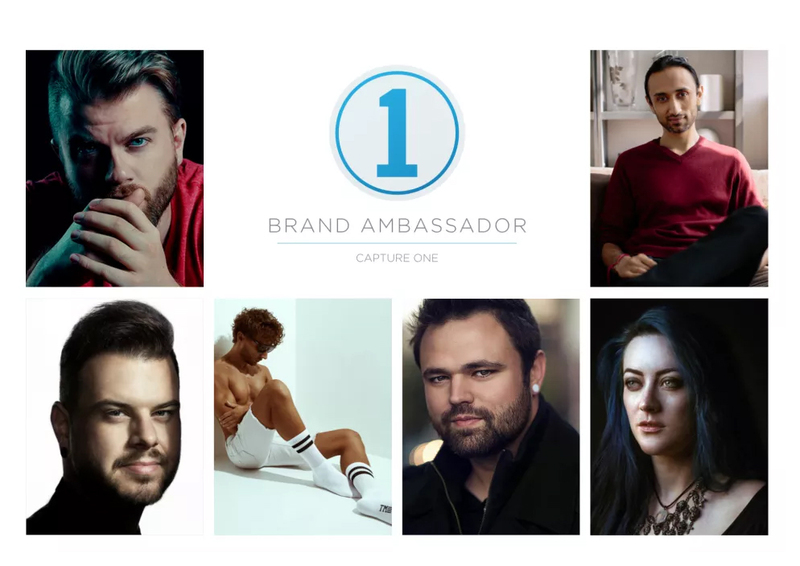 Ambitious, creative, and uncompromising, the Capture One Brand Ambassadors will show why Capture One is considered the professional's choice in images editing." Check out my profile on Phase One's site here. The last standing Titan II missile site resides in a complex known as Five-Seven-One-Dash-Seven. There were fifty-four of these sites across the United States from Nineteen-Sixty-Three to Nineteen-Eighty-Seven. Manned twenty-four-seven, three-hundred-and-sixty-five days a year for twenty-four years by a crew of four. November eleventh, Nineteen-Eighty-Two, Five-Seven-One-Dash-Seven came off alert. The Titan II carried the largest nuclear warhead ever deployed on an ICBM by the United States. It had a range of over five-thousand-five-hundred miles. It would take thirty minutes from launch to reach its intended target. It is a frightening reminder of a darker, less certain time in our history. Thanks to SLR Lounge for the write up on the series. I always look back at the early late 90s to 2000s fondly. A blur of classic music videos that would be seen as campy in today's terms. So many had these under tones of raw sexualism and higher power elements that always seemed to mesh oddly well. Please enjoy the project below. Creative Director and Conceptual photographer Derek Heisler explains the benefits of directing your models rather than just posing them during your shoot. Here's a small bit from his talk in Toronto May 11th, 2017. We want to thank Canon Canada and Vistek for sponsoring the event. I am excited to announce I’m coming to talk at the Scotiabank Contact Photography Festival in Toronto in 2 weeks; May 11. We’ve partnered with Vistek and Canon Canada to bring you an evening of photography, lighting, directing talent and business talk. Come on by and check it out, it’s free to attend. Thank you to our sponsors! See you soon Toronto! Add it to your Contact Festival Planner here. If you’ve dreamed of becoming a fashion photographer, this is an event you don’t want to miss. This is your chance to learn from one of the best commercial fashion/lifestyle photographers in the business, Derek Heisler, on how to light, shoot, and work with a fashion model. Sponsored by Canon. I am excited to annouce a gallery of some of my select work in "The Colour of Personality" will up at the Toronto Vistek location for the month of May. I will be at the store on May 11th from 12PM-2PM, come by and say hi! Add the event to your Contact Festival planner here. Persons of intrigue are often described as colourful and full of personality. It all starts with the eyes and ows to the brow, cheeks, and lips. Colour and light can say so much about a subject, and this exhibition shows how it can be used to emphasize personality or emotion. Surprises are never fun for a client, so education from the get go is key. So how much does a commercial shoot cost? Well there are many factors to keep in mind, but let’s keep it simple and break the costs into two categories. Production costs are easily described as the cost to CREATE the image, where Commercial Licensing Fees are the cost to USE the image. This list could be simple or it could be complex, again it really falls on the requirements of the job. It’s worth noting that I have had some clients take on provisions (basically they take on one or more of these items at their cost as they might be able to execute some items more cost effectively). Having a creative brief can help in determining what their costs are. Don’t be afraid to share your ideas and budget. It’s important to be forthcoming with your available budget, it gives the photographer a frame of mind to work in. If the job is strapped for funds, some of the list above will be done by the client to save money (or some items are just removed all together.) Without knowing a client’s budget, it can be difficult to price realistically. There is nothing wrong with coming to a photographer to get an idea of what it would cost for your idea to be executed in its entirety, but keep in mind that budget will often be much higher than you may anticipate because no budget ceiling was mentioned. It’s not because the photographer wants to charge a lot of money, it’s because they are always striving to create the best work possible. Thus the best trades people and sets help in achieving that which inherently increases production costs. What is the Photographers Creative Fee? This fee is the cost for the photographer to complete the project. It has many factors that range from experience to complexity of the job, to duration of the shoot (how many days), how logistically complex the project is, etc. What is the Commercial Licensing Fee? As stated above: Production cost are easily described as the cost to CREATE the image, where Commercial Licensing Fees are the cost to USE the image. Why must a client license images after they’ve paid for them to be created? Now that we’ve gone over the basics of copyright, licensing an image is the act in which a photographer allows an image to be used commercially in exchange for a fee. This would be the same as a musician would receiving royalties every time their song is played during a TV spot. The same applies to the use of imagery. What constitutes Commercial use? Basically, it is if an image is used to promote a brand or product even via association. If you post an image on say your company’s blog but it’s not directly about your product it’s still considered commercial use as its being used to promote your company’s brand. So, what does it cost to license imagery? That’s a great question and at first it will seem very complicated for a client. It’s very specific to your needs. Most clients want an “all you can eat license” (we call it a buyout), this gives them the freedom to do whatever they want with the image. This can be very expensive and often considered overkill. I compare it to buying a brand-new car and using it for only one road trip and then driving it into the ditch and walking away from it. So, photographers break up licensing into a few categories to ensure affordability and to not go beyond what the client really needs. Luckily as photographers we don’t actually “make up” these numbers. There are many tools out there for pricing that reflect the current industry rates. Software estimating tools like Blinkbid, or Fotoquote are renowned, and commonplace. If you are a client looking to get an idea of the cost to license an upcoming project here’s a great tool from Getty Images. 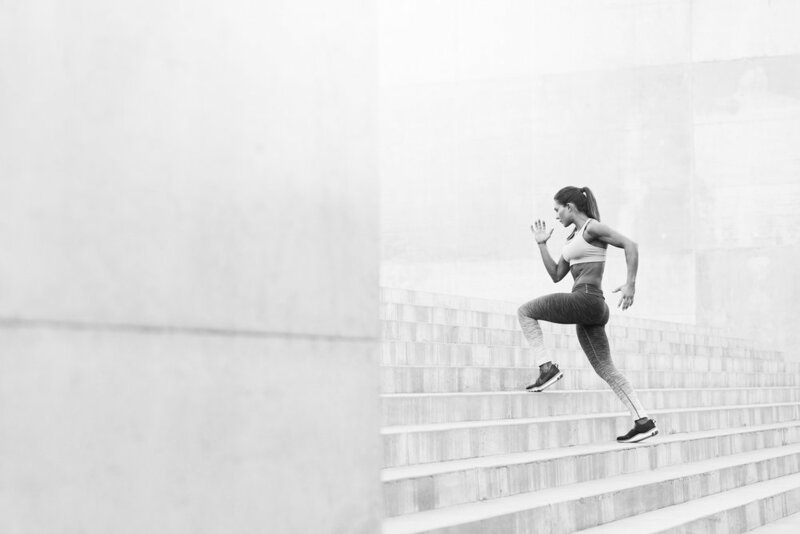 Say you’re a sportswear company and you want to license one of the images from the photoshoot for a billboard that will end up in a US city and you’ve rented that billboard for 3 months. How much will it cost? First, we select that it is going to be Advertising – Print, Display or TV, and then we select the billboard option. Next under Usage Specs, we select a full ad, (it is only one billboard, so one for circulation.) Start date is whenever the billboard will start and then the duration of that period (for this example we want 3 months). Next under Target Market, we select the US and for industry we’ll select Sports, Fitness, and Leisure Activities as the company is in that industry. When you click Get Price you’ll notice the page will update and the price will be in the top right corner. For this example the licensing fee would be around $3,370.00 CAD (this is because it is a Canadian example, but it should kick out your local pricing). Now if you wanted to use that same image for website and social media, let’s go back and look at what additional fees there would be. Keep in mind the more uses you bundle and the longer the durations, you will often see a reduced overall rate verses paying full price for each use. Additionally, these are just suggestions and are only used for rough estimates so you don’t go blind into your estimate with your photographer. If you don’t budget out licensing for your project, it can often be a shock and kill your project due to the costs. Therefore this is an excellent tool for understanding the rough licensing costs. Now we will look at what the website and social media costs might be for that same image that was on the billboard; this one will require two licenses or a “bundled” license, as website and social media are two different uses. First we will look at website use. We first select Digital Media. Then we select Digital Advertisement (as seen down below it includes website, banner ads, over-page, in-page or web video advertisements). Second, we select All Digital Media, the start date and for this example a duration of up to 6 months. Often clothing is seasonal so licensing this image for more than half a year might be too much. Next, we select the target market of the US and the industry as before. And click Get Price. We see here that one image would cost roughly $1,200 CAD to license. Now we need to look at social media licensing fees. As before we select Digital Media and now we select Social Media under format. As stated it’s a one-time use on any number of social media platforms, but it’s based on the target audience (so make sure you know how large your audience is before costing this piece out). Let’s select under 1 million followers and duration of 1 year. Same territory and Industry as before. This results in one image costing roughly $263.00 CAD. Together we have the billboard ($3,370), the website ($1,200) and social media ($263). Now, if you licensed this as a bundle the photographer would most likely lower the total cost, the amount the bundle is lowered is really depend on the photographer and the job itself. Your first large campaign for your company is a big endeavor, but if executed correctly can mean the difference between making or breaking it. Your customers will invest in you when they see that you invest in yourself. Knowing the costs of that first photoshoot and licensing can help shape your marketing budget. This ensures you are investing in something worthwhile that will uplift your brand verses potentially damaging it. Thanks for checking out this quick guide, it’s not perfect but it should help remove that “black magic” behind photoshoot costs. If you’re interested in working together on your next big project, click here to see why you’ll love working with me. Let me present a Moving Portrait. A little different from a cinemagraph. Where a cinemagraph is a video that's masked to show small movement; a moving portrait is originally a still image that is then broken up and the camera is moved much like Disney's Multi-plane camera. Pop in those headphones and turn on the audio. Enjoy! Here there are 3 objects, the back wall, the counter and the subject himself. What makes a great moving portrait? A great shot, a smooth camera movement in 3D space and great environmental audio that takes you there. I recently took out the iPhone 7 Plus into Kananaskis Country for the day to test out what it could do. It's impressive to say the least. Jump over to The Retouchist to check out the whole story featured there. 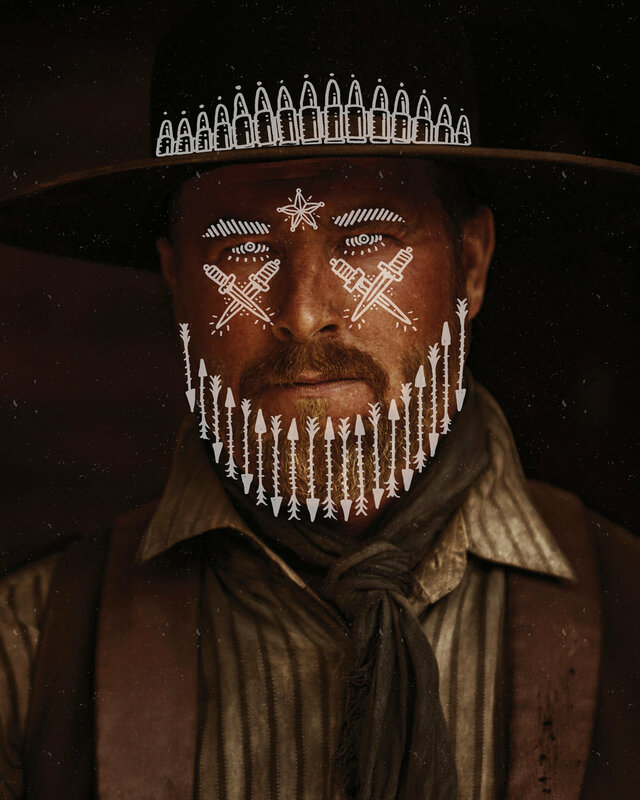 Doodled Gunslingers is a series of illustrated photos shot by commercial photographer Derek Heisler with linework by Mr. Woody Woods. These guys are real american stuntmen from the northwest. Mr. Woody Woods has used illustrations that compliment the originals by using elements that represent their career and history. Adding more character to their very characterful faces. It's about the car, the girl and the road. It's about the car, the girl and the road. All distractions we need. The open road gives us the freedom to stretch our wings and refresh. The car gives us the power we need to travel through miles and miles of thoughts. And the girl, the girl. Music reminds you of her, glimpses of her smile in your peripheral. She's the angel and the devil on your shoulder on an adventure we all need to take. Take a deep breath, this is what life is about. Phase One and Derek Heisler Photography have partnered together on a Guest Blog on Phase One's blog today. In the article I talk about colour grading in Capture One Pro and how it's my go to piece of software for all things photographic. Tasks that would take me hours in Photoshop can be done so quickly in Capture One Pro; like blending skin tones. Make sure to jump over to the blog and give a read. If you have any questions, feel free to comment here. You can play around with Capture One Pro for yourself for free for 30 days. Download it here. Phase One recently partnered with Derek Heisler Photography. Derek Heisler Photography is now a brand ambassador of Phase One and Capture One Pro. I've been using Phase One medium format digital backs and bodies for over 3 years. I have been using Capture One Pro for tethering, raw processing and grading of images for almost just as long. When it comes to raw processing and colour there is nothing that compares for professionals. Tomorrow Phase One, Capture One and myself are releasing a blog on colour processing in Capture One! So keep an eye out for that, there are a lot of useful tips. May 30th I took over Phase One's Instagram Account. I've been posting some of my favourite work and discussing how that work was created. Jump over to their account, feel free say hi and read up on all the cool behind the scenes work that went into the images. I'll be posting til Friday June 3rd. Phase One Instagram take over May 30th to June 3rd. I sit down with Pro Photo Blog from Vistek to discuss all things photographic. Check out the full interview here.